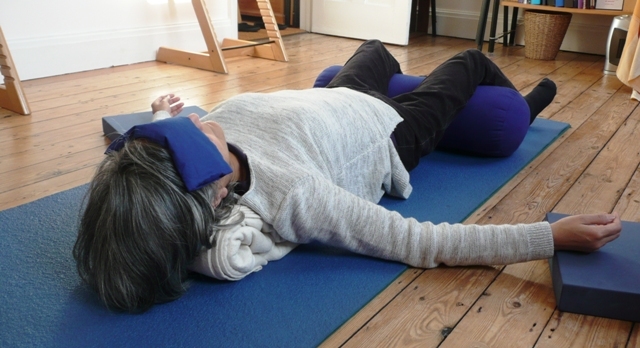 I am delighted to be able to offer Restorative Yoga (RY) class and share with you this practice that I have come to love so much. To me, RY is a practice in beingness, helping us to remember who we truly are, helping release what blocks us, so that we can live life from this space of true strength. It is a deeply nourishing and relaxing way to benefit from Yoga. Limited spaces. Please contact me to book a place.